One of the most attractive sides of the Italian Riviera is the immense sense of freedom that you feel when you watch from the green hills that flow steeply into the sea, the thin line that separates the immense blue of the sea from the immense blue of the sky, so wide that it gives you the perfect feeling of the roundness of the earth. Beneath you the iridescent sea with its many faces; in front of you the green maquis. Yes, because here nature does not show many differences in different seasons, in winter it doesn’t strips off and, to find the first signs of spring have to look for yellow. Yes, the yellow of the mimosa that in February first announces the end of winter, heated by the sun on the slopes of the coast exposed to the south, towards the sea. 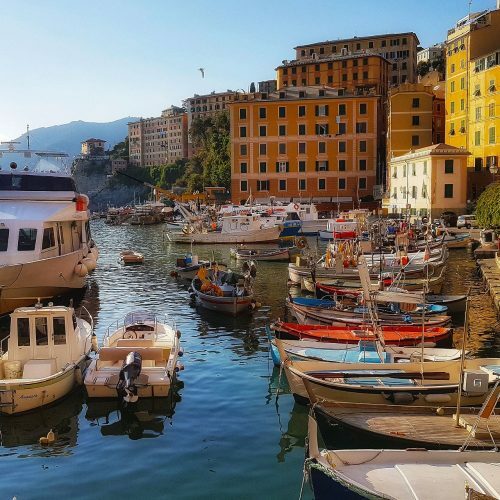 One of the most beautiful places to admire this show is Pieve Ligure, a small village not far from Portofino and just a few miles from Genoa but already fully immersed in the atmosphere of the Italian Riviera. Not a place frequented by tourists, is one of those special places, frequented mainly by the lucky residents and Ligurian who love to discover the most secret corners of their region. 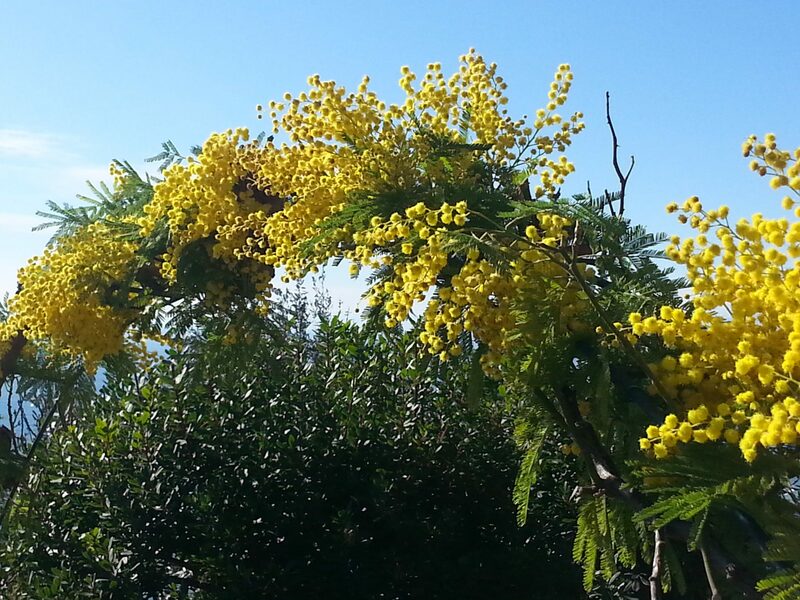 And there is a day when Pieve Ligure is the center of attention, in which the whole village is colored yellow: is the day of the Festival of the Mimosa. Today is that day and the feeling of freedom and spring is even stronger because it is a day of February of dazzling sun, with 16 degrees, not so strange in the Italian Riviera. 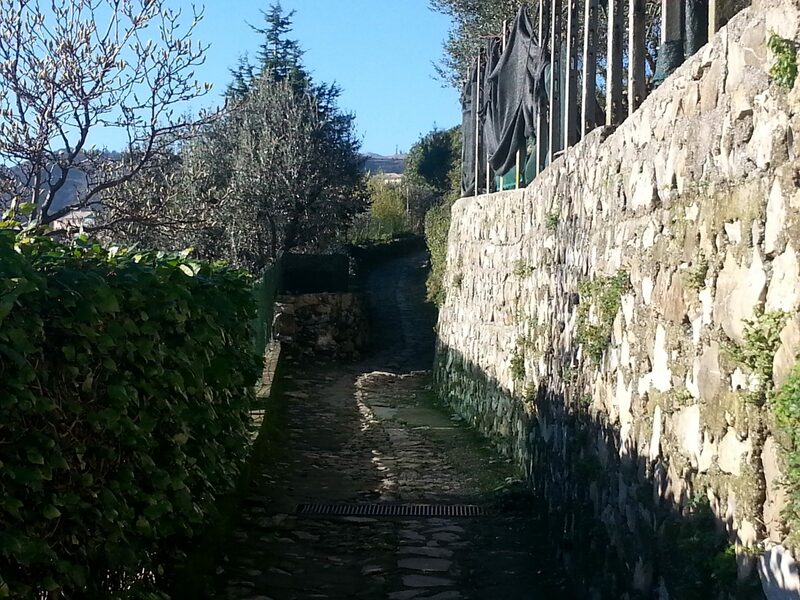 Fortunately, in this day, cars cant get to Pieve and then it’s nice to get there on foot, following the old path that connects it to the nearby village. 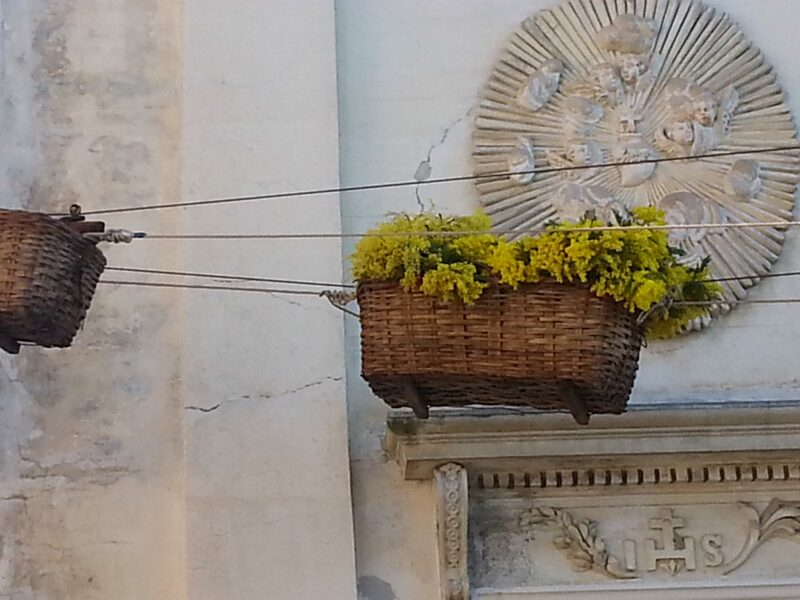 On the village square, dominated by the Baroque church is the Feast of Mimosa: the farmers collect the mimosa growing on typical Ligurian terraces and fill baskets that are brought on the square with a small cable car: baskets full coming down, empty baskets that rise. 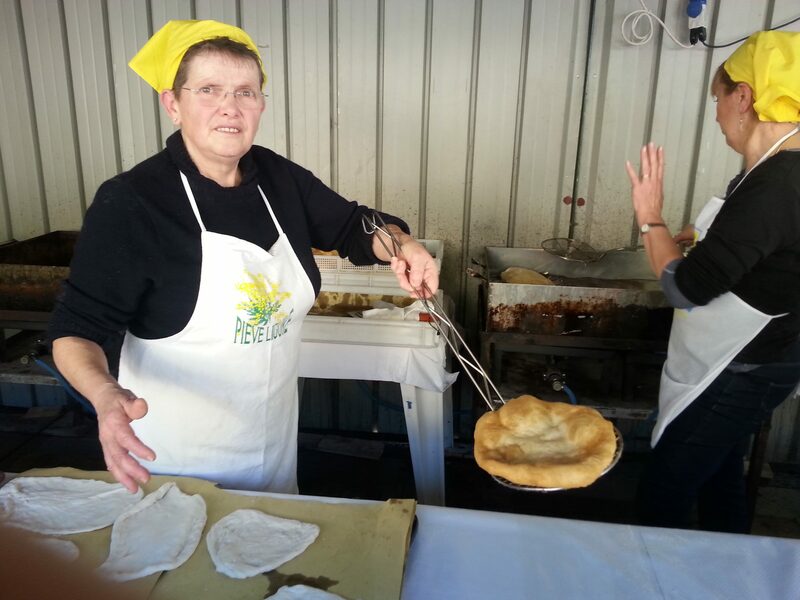 And below, all a blaze of yellow, of flowers, of balloons and of aprons and scarves of the skillful ladies who cook the typical “focaccette”: a sort of simple and delicate bread made of a mixture of flour and water that is then fried. 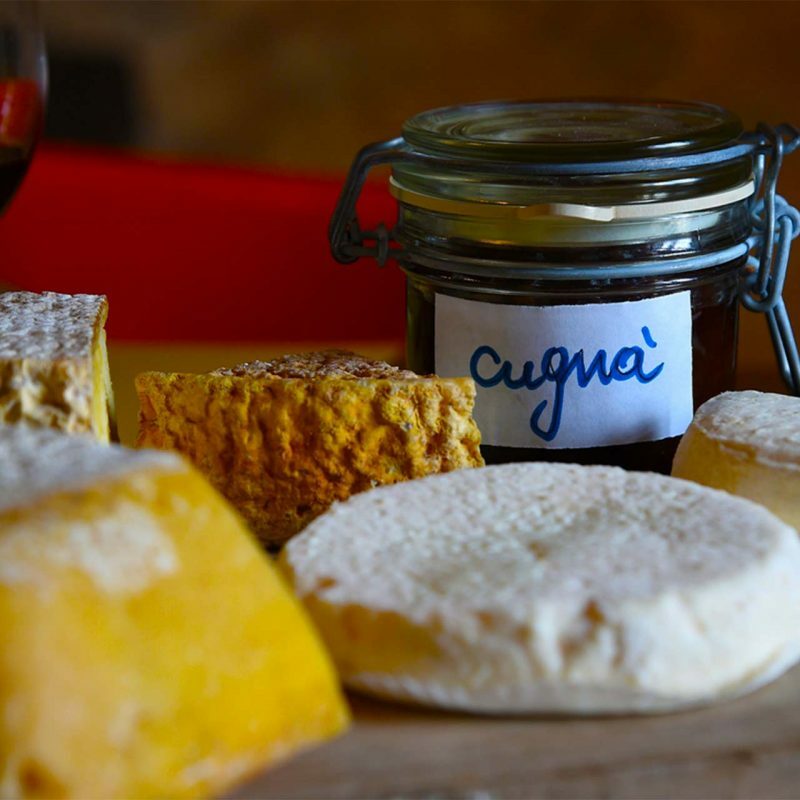 There are swollen focaccette, focaccette filled with cheese or round ones, to be eaten with salt or sugar. 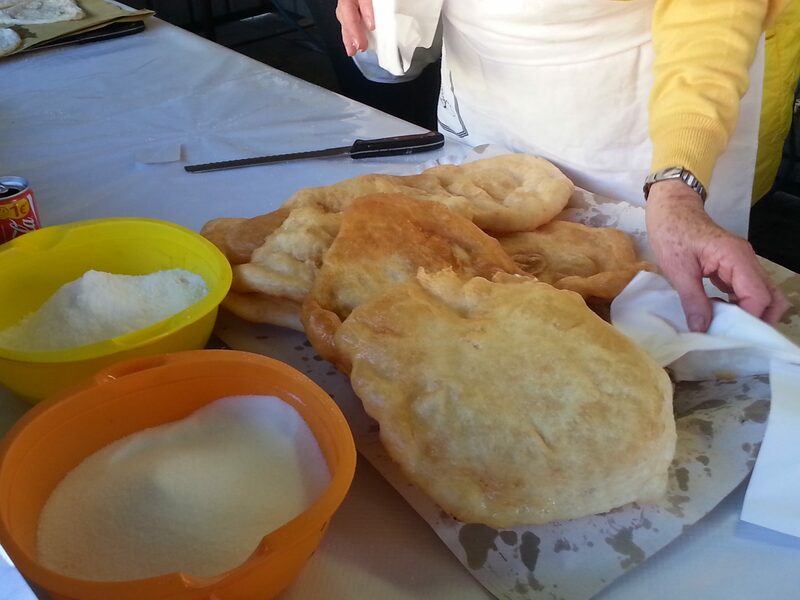 The ladies’ expert hands stretch the dough before your eyes and throw it in the hot oil. No diet today, but it doesn’t matter, because, to go back home we walk the old road, accessible only on foot, winding on the slopes that frame the sea and touching colorful villages, everyone hung around his church. I often come here because on these trails you can breathe the real essence of the Italian Riviera, which most of people only skim, passing by with cars on the most famous Via Aurelia, along the sea. 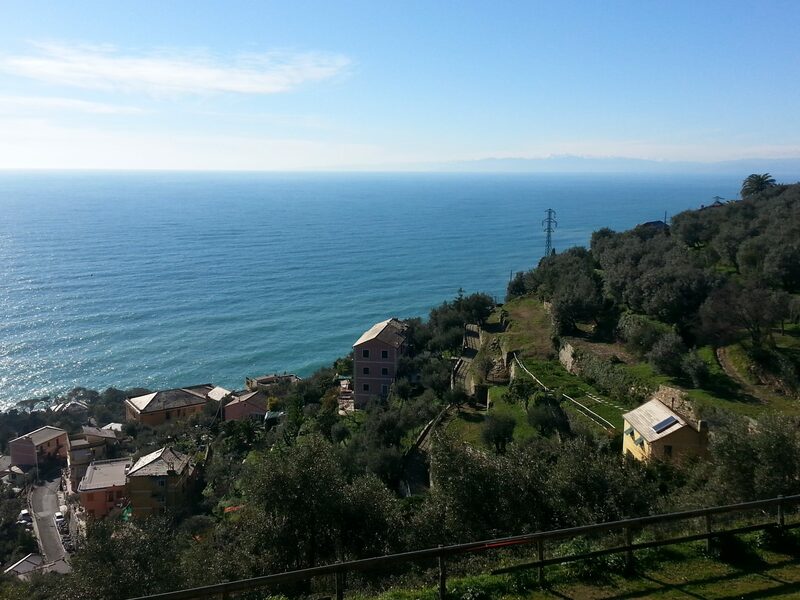 And yet, you just have to look for the yellow to discover the authentic Italian Riviera.